Home renovation projects are all about squeezing your design dreams into a realistic budget. And depending on size of your wallet or artistic vision, that can be an effort not so different from jamming a square block into a round hole. 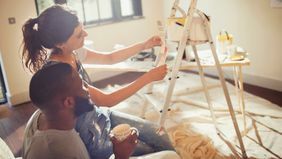 To square a renovation with your budget, it’s tempting to cut corners or pivot to a cheaper project. No doubt, you want to stretch your dollars as far as they can go, but in some cases it’s wiser to splurge. Here, home renovation experts share a few projects where spending a little extra money up front proves worthwhile in the long run. This trendy — and costly — upgrade is being driven by farmhouse fever that’s sweeping the nation thanks, in part, to Chip and Joanna Gaines of the popular television show Fixer Upper. Apart from television shows, Anderson says that homeowners these days are also striving to minimize their impact on the environment. Trading a shingled roof for a metal one is an eco-friendly decision that’s also in keeping with the farmhouse aesthetic. Metal roofs are also roughly 20 percent more expensive. The thing is, they can really pay off. "Roofs are a major heat absorber for homes so they are naturally the first place homeowners look to reduce their economic impact," says Anderson. And if you plan to stay in a home for the long haul, you will likely never need a new roof again if you opt for metal. 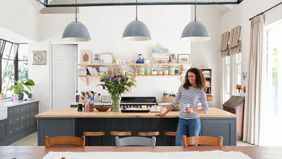 According to Maryland-based real estate agent Jeff Miller, installing a custom, built-in buffet in a kitchen or dining area gives homeowners the storage they need along with some added high-end design. 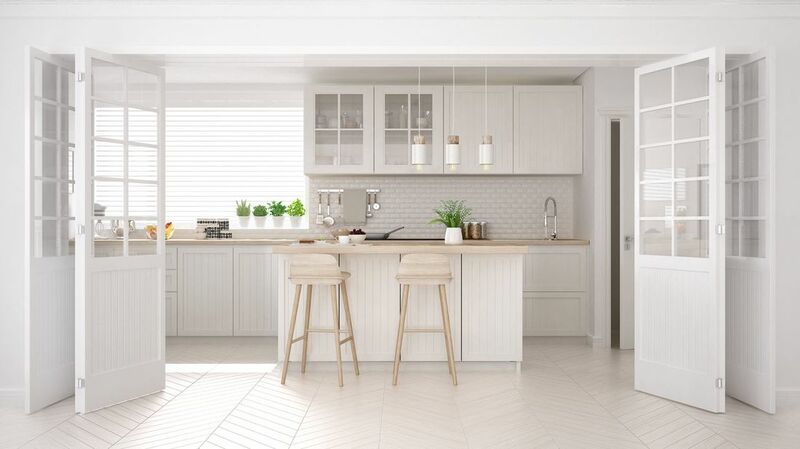 "One of the most common complaints we hear from homebuyers is that a house doesn't have enough kitchen storage or counter space," says Miller. "This high-end splurge makes the interior of a home more aesthetically pleasing and increases functionality." Curb appeal never goes out of style. As Miller explains, the outside of your home sets the tone for your entire property and creates a high return on aesthetic value. "Adding an attractive entry way cover, building a small front porch or investing in landscaping can make a big difference," he says. Even springing for a nicer front door can go a long way toward increasing your property's value. Swapping an aging or dated wood door for a nicer, steel one — average cost being $2,000 — yields a return on investment of over 90 percent if you sell your home. Tile can instantly give a space a high-end feel. It’s like curb appeal for your feet. "Good quality tile shows," says Anderson. "The nature of tile is that it is visually pleasing while also invoking a tactile response. It’s a sensory experience. Low quality tile can be difficult to install, can discolor over time and can fall into disrepair." While fish scale and penny tile are hot styles right now, Anderson says that the actual tile design is not as important as fully committing to a style and having the job done right. Pick the best tile you can afford and install it throughout an entire space. When a bathroom or kitchen looks finished and uniform, the investment really pays off. For large-scale projects, hiring a professional planner during the design phase could save you headaches and regret down the line. Designers and architects are trained to think of all the things that the average homeowner won't, according to Allyson Case Anderson, head of Integro Rehab, a Chicago-based general contractor service that specializes in major renovation, remodeling and historical restoration. "Professionals consider how the light hits the space throughout the day, how subtle hues will affect other finishes — like cool versus warm colors — and, of course, cost," she explains.